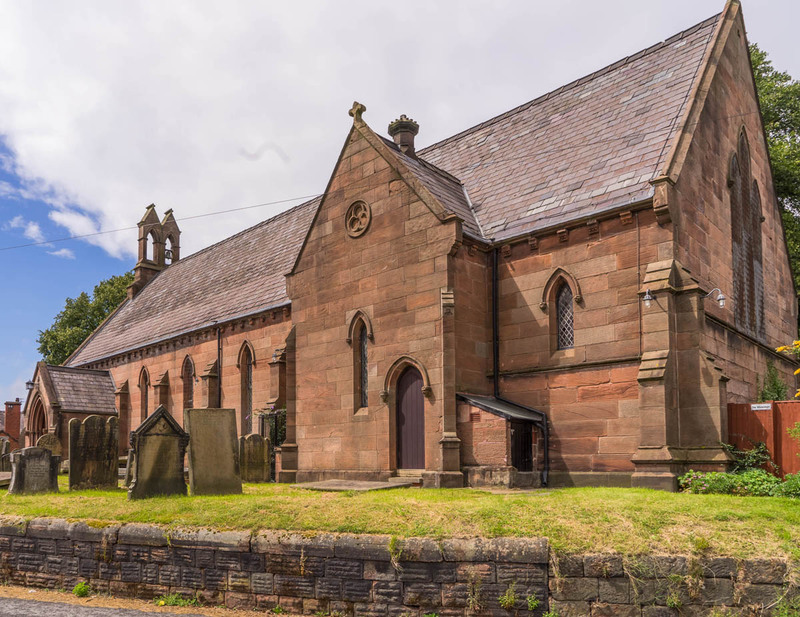 Barnton – Christ Church, Cheshire. 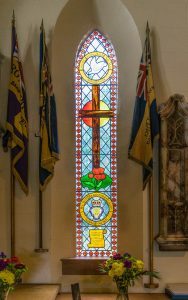 Text type (e.g. 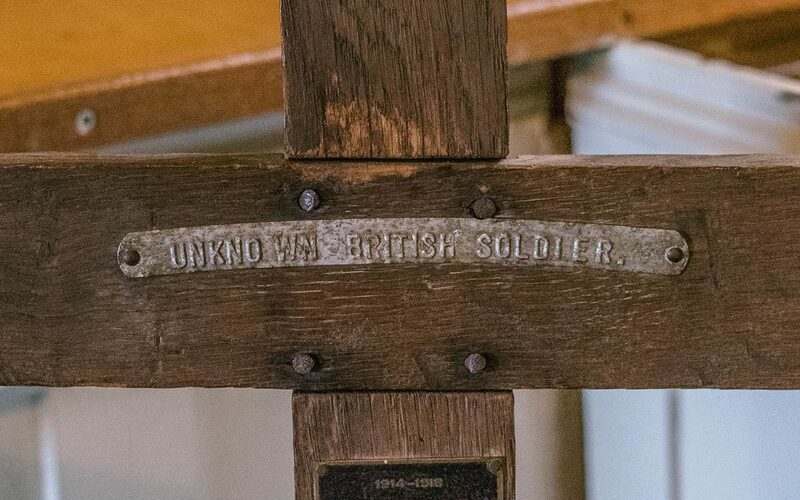 hand-written, GRU tags, carved): 2 GRU tags and a brass plaque. 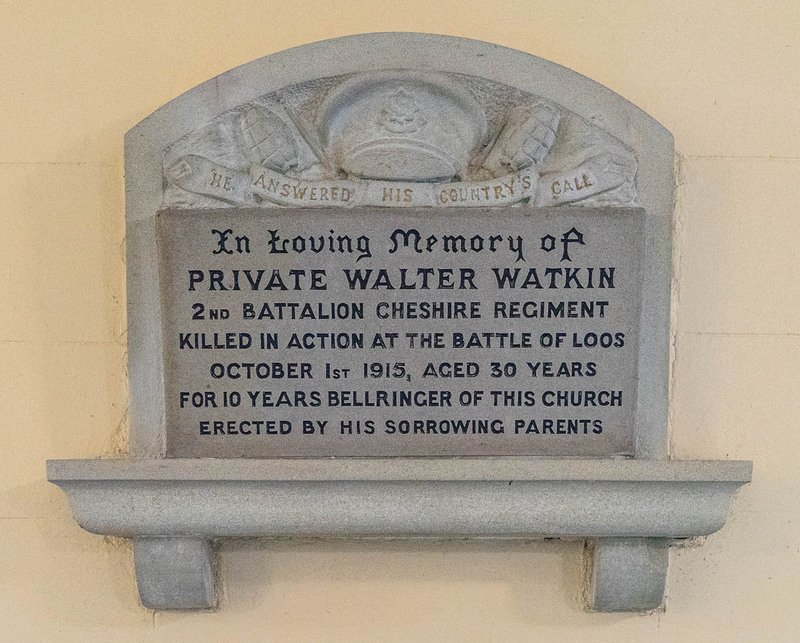 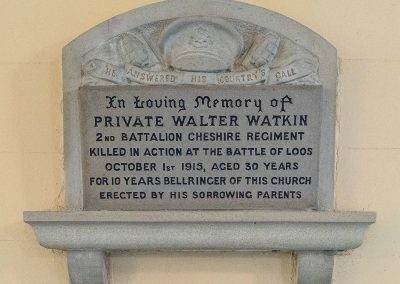 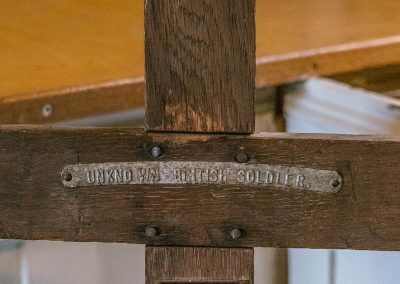 Detailing: There is also a brass plaque just under the cross member which reads ‘1914-1918 This cross temporarily marked the grave of an unknown British soldier on the Western Front and is entrusted to your care by the Imperial War Graves Commission’. 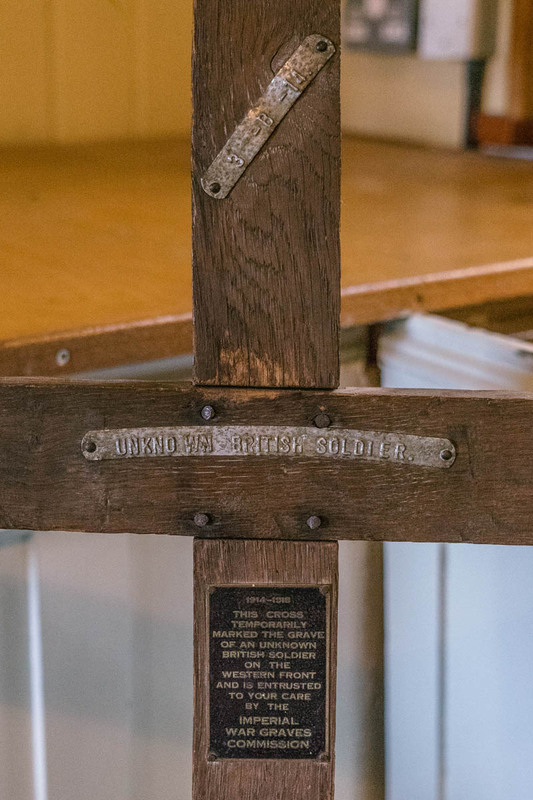 Evidence of use in field (earth marking, cracking, staining, shrinkage): There is a small amount of deterioration towards the bottom of the cross. 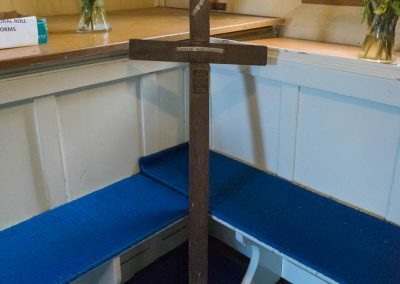 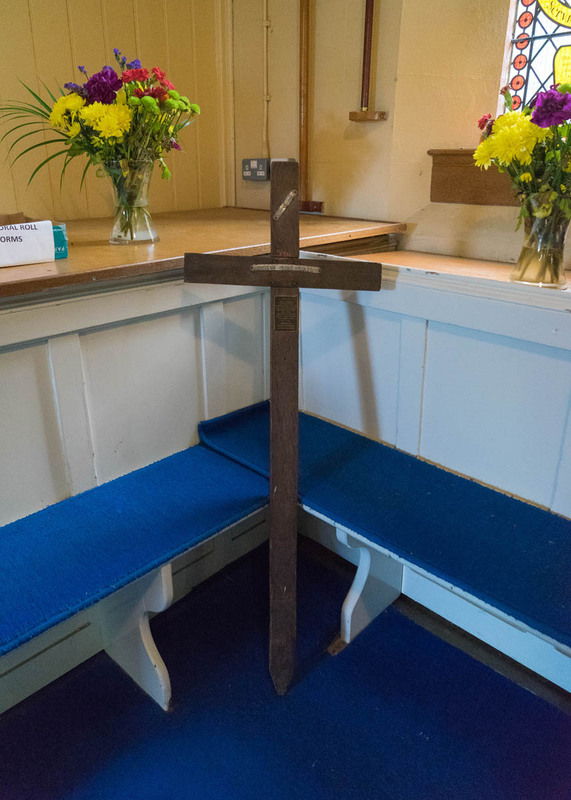 Condition (cracked, paint peeling, woodwork, damage etc): The cross is in very good condition, there is just a tiny amount of deterioration on the cross member. 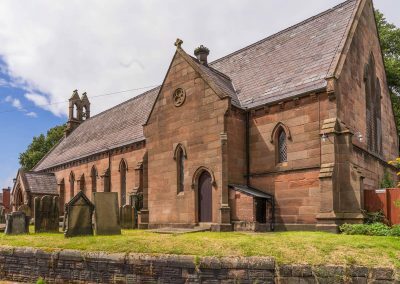 Other information, notes and observations: Christ Church, Barnton in Northwich is a grade II listed building which was built in 1841-42 from Runcorn red sandstone. 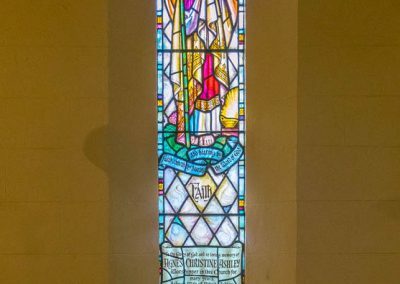 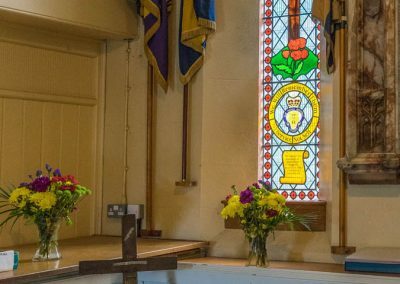 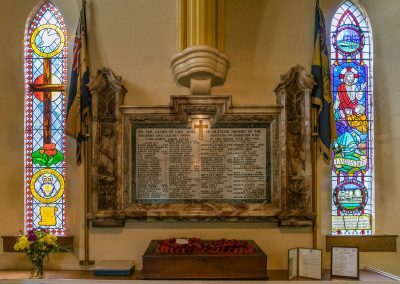 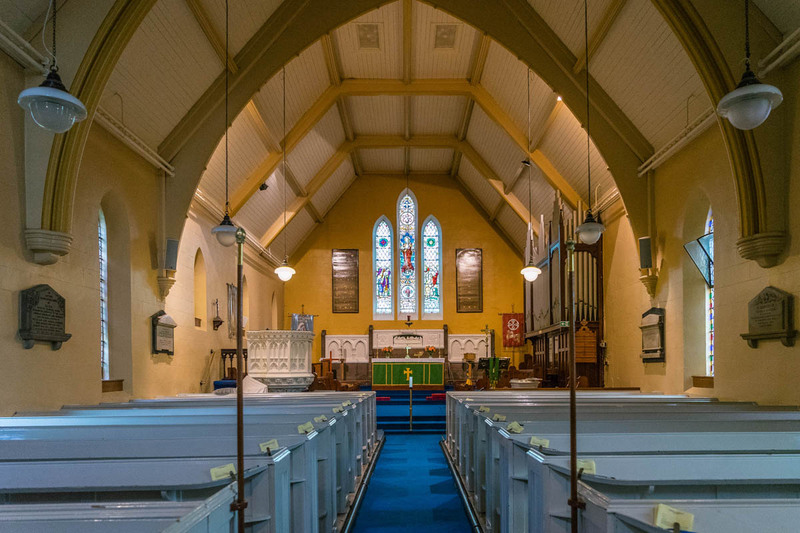 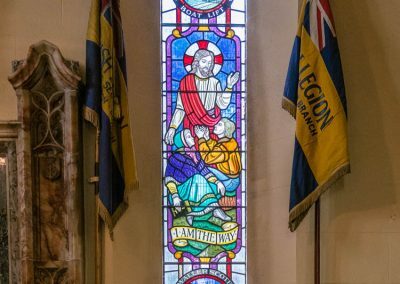 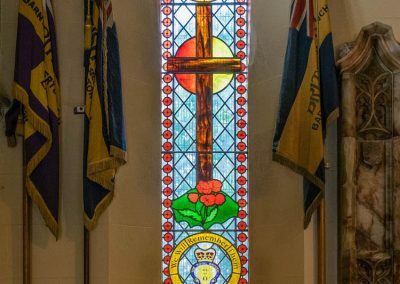 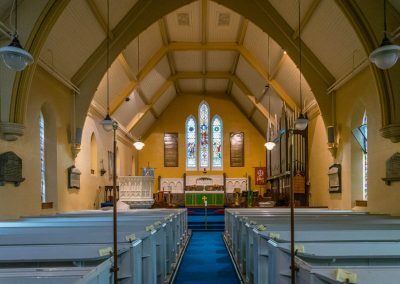 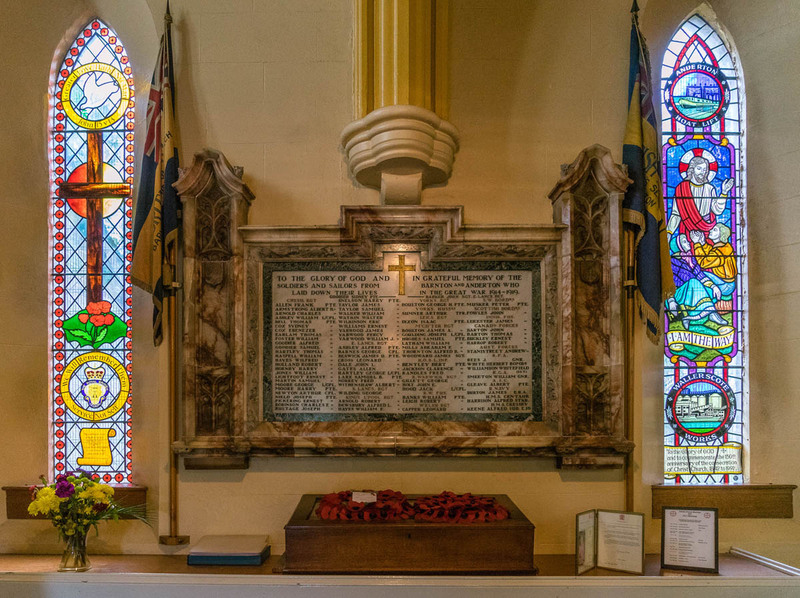 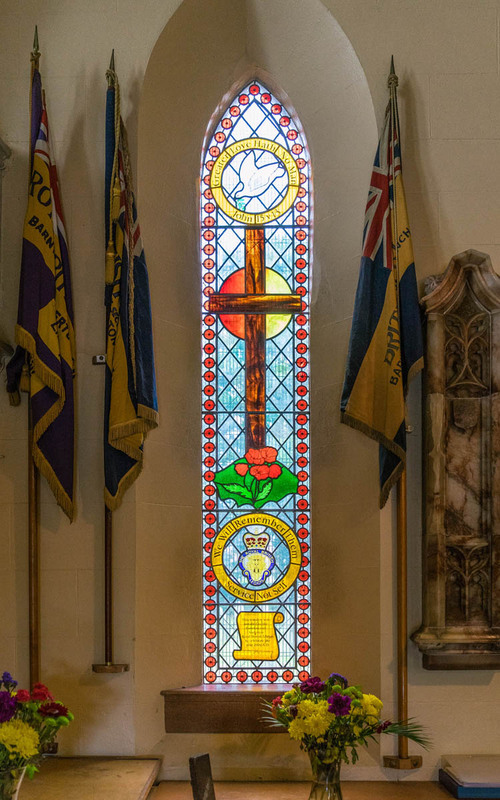 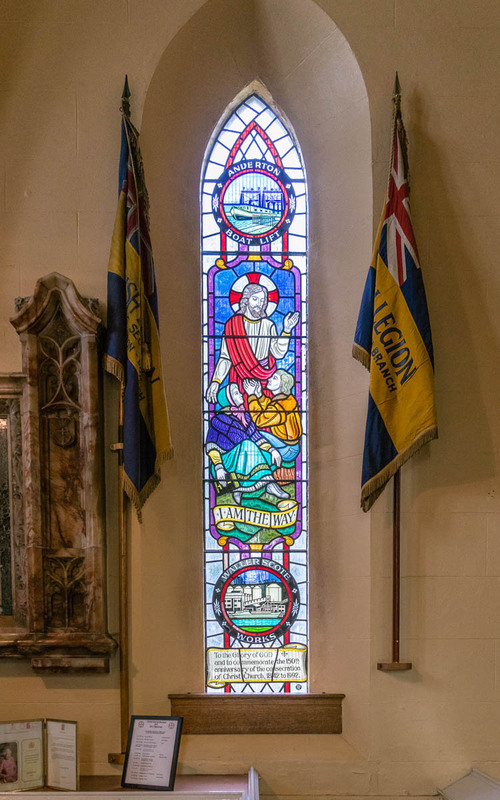 It has some beautiful stained glass windows including one dedicated by the British Legion during the year 2000, and another featuring the famous Anderton Boat lift. 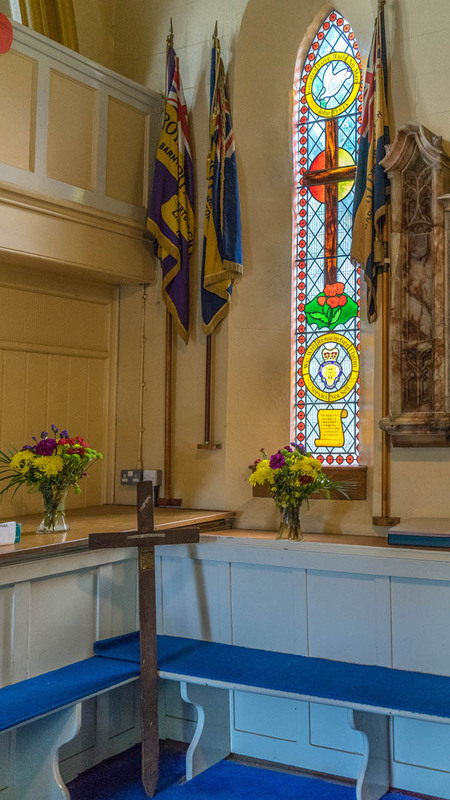 Many thanks to Beryl, who kindly arranged access to the church for us.